/ Lessons From the Road: How to Sustain and Grow a Thriving Speaking Business, Position Yourself as an Expert Who Speaks, and Flex Your Funny Bone! 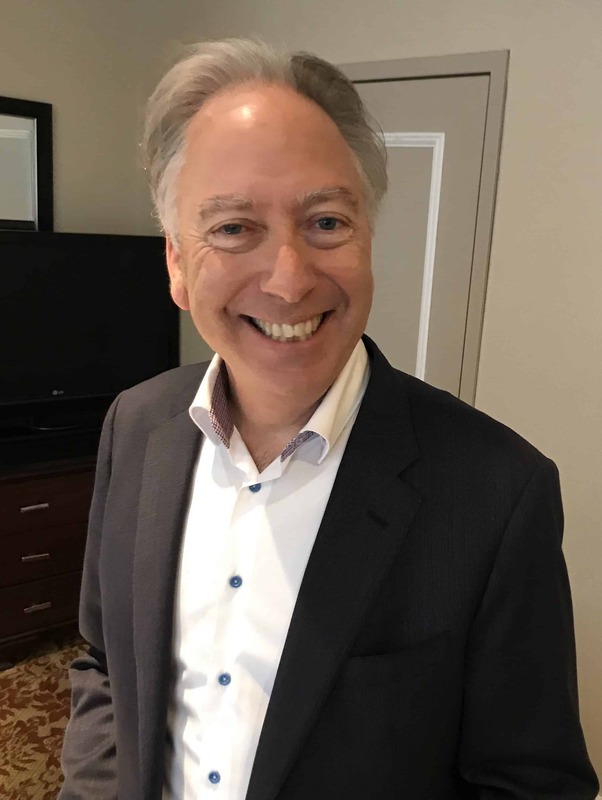 On Saturday March 16th, 2019, CAPS BC was hosting Michael Kerr, CSP, HoF and CAPS National President. International man of mirth, Michael Kerr shared a speaker’s smorgasbord of ideas and insights on how he has sustained a thriving (though occasionally rocky) speaking career for more than 20 years. Here are my notes from this terrific morning. Michael has spent his life researching, travelling and talking about humour and how to take life less seriously. “This is a fun business and we are in the business of fun!” No matter how serious you think your audience is, all things being equal, the speaker, trainer, facilitator who can deliver with a more entertaining way will move to the top of the pact. Importance of bringing fun to your business. The fun starts right on your business card. Have a fun top ten reasons why people should hire you. Have a funny section on your website that relates to your business. Start a series of humour files related to the topics and audiences that you speak. Collect the humour out there waiting to be found. Weird stats, weird goofy stuff. Record it, keep track of it and put it up on your website, in your marketing, make sure you are a fun date and a fun speaker. Humour makes you stand out! Michael’s journey started 35 years ago as he had to do a presentation and was completely traumatised with a very negative experience. When he had to do it again, and instead of presenting the overhead transparents that he had forgotten, he played with the audience. As the audience laughed, he laughed too, and his breathing slowed down and he started to enjoy it. Realized how fun created confidence. Laughing at ourselves and things we have no control about really helps connect with the audience. We have to work twice as hard now. There are lots of free speakers. The TED Talk effect is affecting the business. More events are hiring industry speakers for more relevancy. Like never before, we have to sell our value as outside experts. We have to be more relevant than ever. A few years ago, they would have hired 5 outsides speakers, now they are hiring only 1 or 2 and the rest are industry speakers. Online courses are now available, and they can get our content online, even for free sometimes. We have to be relentlessly different. How would you fit into a conference where every speaker would speak about your topic? What would be your pitch? How would you stand out? Who are your two or three main competitors, and what are three to five ways you are totally different? We are done with the rah-rah, people are more into substance. Purely motivational speakers are not busy anymore. We have to be an expert at connecting our message to our audience and deliver content that is more content-focused. Write the terminology that your client asks and use their words. Can you do a keynote and also include a workshop or concurrent session and also be videoed so they can share with the staff after, etc. When clients cannot afford Michael’s services, he adds some value. He doesn’t bring his fee down, he is willing to offer some extras, adding an e-book, a workshop, etc. What are you doing next Tuesday? We need to be available with short notice. We need to be more ready than ever, more organized than ever. The event planners are not planning way in advance anymore. They are going to YouTube and googling us to make sure they see videos of us in action. You have to be in the video game in order to be considered. 90% of the time, people find Michael from his YouTube Channel. We have pulling technology available and now clients expect us to use ways to interact while the audience builds the keynote. Sayings that our attention span is decreasing are not true. We can binge-watch something on Netflix so we CAN absolutely watch for a long period of time. 85% of his keynotes are now 1 ¼ to 1 ½ hour… the trends are that it is getting longer. We need time to have real conversations. This is the trend, be ready for it and encourage it. It also maximizes their dollars to hire a speaker for longer time periods. When you speak to women, ethnic groups, engineers, bankers, etc. the slides need to be adapted and the contexts, jokes, etc. Develop your expertise in keynotes and workshops and mix’n match them. Can you do a keynote and build in some workshop material in it? Blended learning: online and in-person. Online is great, make sure you also have live presentation too. Make sure you plan everything in your marketing. The live room energy will feel the difference. What are the ways you can use technology to your advantage that will blow people’s mind? Make sure you build this advantage of building communities around your business. Your expertise needs to overlap the external trends and needs so that you can touch on these topics to weave in these topics. Think about your niche, how could you be different? What would it take for you to be Vancouver’s leading expert on this? How can you nitch and hitch, think and link? 8 LEARNINGS FROM HIS CAREER. Don’t take yourself so darn seriously. Share your story, be vulnerable, you don’t need to have climbed Mount Everest with no legs… Laugh at yourself, it sends a very powerful message. Audiences don’t care when we screw up, they just want you to be real. You are just having a conversation with a few people. Just have fun with it. Think in messages… within modules. Can you tie in a message about something specific when you talk about your topic? Use the meeting planner’s terminology when you market yourself and keep planting the seed to make sure they keep the messages alive, as you speak. Plan the seed a few times in the sales conversation so that they re-hire you. Having your topic in different modules will create repeat business. Have your whole presentation set in modules that you can take in and out to adapt to different groups and different engagements. Do whatever it takes to get those messages across. What do you want to get across? Start with a really good solid structure and then build on the foundation. What if there were kids and PhD in your talk? How could you have attention from everyone? Use music, slides, costume change, whatever it takes to get your message across! Do you have the best possible story to get that message across? The best possible joke? The best possible illustration? The importance of putting quality miles under your belt. Do the same talk over and over as much as possible and take feedback. Decide what feedback to take, who to listen, re-do it over and over and tweak it every time. Continue to edit and build your talk. There are no small details. How is the room, what is the plan for set up, schedule, what if it goes overtime or less, the layout of the room, light, volume, a/v, temperature, reserved table, position yourself as a partner with the client? Still, have a small short contract on one page. Be a partner and caring for the event knowing details. Introduction to disaster. Be there for the introduction, be present, bring a copy of the introduction you want them to read. Be a content creator. There are so many options to deliver content now that you need to be a writer too. Write blogs, articles, ezine, books. Create content and expand on it. Be relentless. You have to write. It builds your credentials and google-ability. Write book reviews and summaries. Register as a journalist somewhere so that you get books to review. Create an idea databank with keywords so that you can search about what you have written about and pull stuff easily. Michael has written 80 articles through Forbes/Business insider articles through one video. It started with ONE. Seven years later, Michael has written tons of articles for them through ideas. Written.com is a website that rent material. Also of course: video video video. Pre and post event videos. Interview experts. Videos allow you to keep the message alive. Have videos to upsell once your talk is over. Secure your YouTube channel. 1,001 fun at work tips. Batch and repurpose, do tons of videos with the same topic or content. Enjoy the Ride. Have fun, combine pleasure with travel. Every chance you get, try to find the cool restaurant in the city you are in, bring your spouse, have fun. Think of the lifestyle you want to build and make your business work for you. Make more than you spend and value your value! If you are still struggling and having inside voices and insecurity about your fee, you need to remember clients are paying for your cumulative Expertise and eloquence + Impact at the event+ the Downstream impact you have. Your expertise includes the memberships you pay with different associations, the thinking you do, the rehearsing, the reading you do, the development you do, writing books, blogs, social proofs, testimonials, people we have influenced, social media presence, media exposure, name recognition, brand value, geographic reach, pre-event interview and surveys, pre-event resources. Your impact at the event includes the fact that you will keep the participants awake, you know how to engage people, you are memorable, you make them ‘feel’, you give them relevant ideas, you put bums in the seats, you do one-on-one coaching with people, panel discussion, breakout session, signing at trade show, salary X time X # of people. Your downstream impact is the downstream benefit of your ideas, follow-up handouts, articles, checklists, 12 follow up PDF and resources that the audience will get, takeaways, everybody gets a checklist, bundles, consulting, ebooks, webinars, membership sites, speaker’s referral, videos, e-learning programs, recommendations. You don’t need to do all of these, they just do add to your value and give you the confidence to charge the high fee you deserve. All these equal YOUR VALUE. Embrace it. You are worth this fee. This is what is included. WAYS TO STAND OUT FROM THE HERD TO BE HEARD. This is a word of mouth business. We have to stand out outrageously. Build the foundation first. If you only had five minutes to do your 90 min. keynote, what would you say? Then lengthen it. Screen, edit, screen, edit, re-do and tweak. Be Relevanthumour is the most powerful humour ever. (insider humour). Ask your event planner, what is funny, what are the jokes, name some of the names of the senior staff. Know their pain points. Be aware of images and language to use. Put things in context. Listen to who is before you. link to current events. Be relentlessly relevant. Be Real. Be authentic. Be the same person off the stage than on the stage. Be realistic, we are not going to solve the world’s problems in 90 minutes talk. Be real with the truth. Careful with promising empty promises. Be careful with pseudo-sciences. Start where the audience is at. What is happening in the world, the news? Ask questions and think in metaphors. How does your humour relate to connections? Have funny stuff on your powerpoint. Deliver content with a joke, it is not a choice of one or the other. Humour is just the delivery method for content. Exaggerate… but don’t lie, what can you do to exaggerate the most disastrous situation look like? People can tell when we exaggerate and it’s all good. Try to always stick to the truth. Before and after, best case scenario. Use quotes, look for unusual quotes, find crazy sources, pop culture references, quote unusual people. Tell your stories, keep a file of your stuff. One of the fastest and simplest ways to grow your speaking business is to start your humour file and find the accidentally funny stuff in the world and put them to use. Energy shifters: Michael has lots of tricks to change the energy in the room when some weird stuff happens. He has stickers he gives away and spontaneous jokes, questions quiz to hand out prizes, etc. Michael Kerr travels the world researching, writing, and speaking about inspiring leaders, teams and businesses that leverage their humour advantage to drive outrageous results. His ideas have been featured in hundreds of publications worldwide, and his blog Inspiring Workplaces has been recognized as one of the top-75 workplace blogs in the world. What’s So Funny About Alberta?